I guess I'm on the wrong page. We spent $8.57 to for every dollar saved. The Bizy Bee: O'Brien Slogans: Chew 'em Up & Spit Them Right Back Out! MEDIA RELEASE: FOR IMMEDIATE RELEASE! Common Council Minority Leader Louis Salvio and Assistant Minority Mark Bernacki have donated back to the City five percent (5%) of their $3500 Common Council salaries back to the City in recognition of the difficult financial times New Britain faces this budget year. 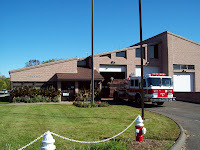 Stewart, Salvio and Bernacki called upon other Council members to join them to demonstrate to City employees that the Council realizes the sacrifices that must be made by leaders, employees and taxpayers in these trying financial times at the local, state and national level. Despite several claims by candidate Tim O’Brien that he wishes to conduct a clean campaign that is focused on the issues, he has not yet challenged Mayor Stewart to a single debate. Perhaps Mr. O’Brien is afraid to talk about the issues that New Britain faces. Mayor Stewart, for his part, says that he is both willing and eager to debate with Mr. O’Brien on the issues. Hopefully the citizens of New Britain will soon be given the opportunity to hear first hand Tim O’Brien’s plans, or lack thereof, for New Britain. Then they can weigh them against Mayor Stewart’s proven track record of delivering economic development, lower taxes, and improved city services. Born and raised in New Britain, Anthony attended New Britain public schools through middle school. 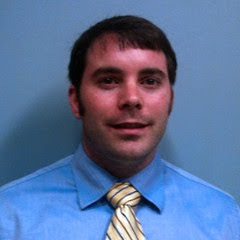 Anthony has both a Bachelor of Arts degree in Music and a Bachelor of Science degree in Education from UCONN. Anthony expects to earn his Masters degree in Music Education from CCSU in December. Anthony is a elementary school music teacher, employed by the Cheshire Public Schools for the past 6 years. 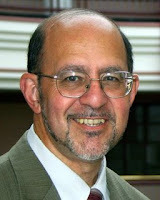 Anthony currently serves on the New Britain Civil Service Commission and the Executive Board of the Main Street Singers. Anthony's wife, Mariette, is a Emergency Department Nurse. The Kane's have one daughter (Maura) and are New Britain homeowners, so they have a personal stake in the future of our school system and the community. BANK OF AMERICA SUSPENDS DEALINGS WITH ACORN. 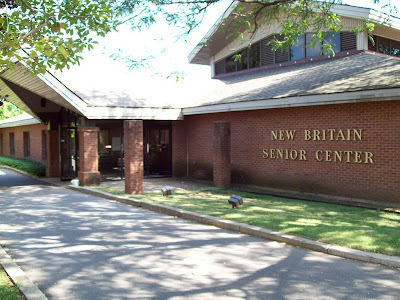 Meet the Mayor session will be held at the New Britain Senior Center Tuesday September 29th.between the hours of 4-6 P.M.
Mayor Timothy Stewart will be meeting with citizens on a first come first seen basis. All are welcome to attend if you have an issue you would like to discuss with the mayor, or just would like the opportunity to meet the mayor. Thomas Talalaj is a lifelong resident of New Britain and a graduate of New Britain High School. Tom has a background in the banking industry and currently works as a Business Associate at Target in New Britain. Tom attended the Computer Processing Institute and is certified in Computer Operation. 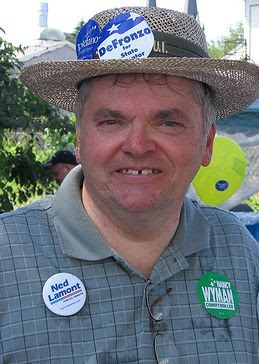 Tom has a long record of public service including having served on the Board of Assessors, the Board of Assessment and Compensation, New Britain Conservation Commission, and the Fairview Cemetery Commission. Tom says he looks forward to the ability to continue his service to his fellow citizens of New Britain with fairness and a positive, proactive attitude. 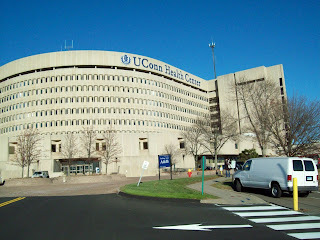 BRISTOLTODAY.COM: UConn hospital plan "dead"
The Stewart Team, The Only Choice That Will End The Childish Games! 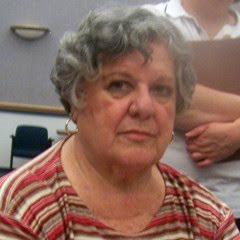 At the hands of its Chairman, John McNamara, the Democratic Party abandoned City Clerk Peter Denuzze after his 15 years of loyal service with their endorsement of Suzanne Bielinski for Town & City Clerk, but as the general public expected, and to the surprise of the extremist radicals heading up the local Democratic Party, when Chairman McNamara threw Denuzze under the bus, the chairman was unable to deliver the vote for his radical candidate in the recent primary, so in effect that bus reversed itself and backed right over McNamara. Now with last night's news of Peter Denuzze's decision to join Team Stewart and accept the GOP nomination for Town & City Clerk, to have such a prominent city Democrat join Mayor Stewart's Team, is like having that same bus run over Chairman McNamara again, and then back right over him a second time. The public has clearly rejected the likes of the Working Families Party with their rejection of Bielinski. Now with the addition of Peter Denuzze to Team Stewart, it brings the total to 4 Democrats and 3 Unaffiliated voters on the mayor's team, showing that he has been willing to cross political lines to select the best person for each job, without regard for partisan politics. As a result, all indication is that a vote for Mayor Stewart's team is the best way to put an end to the petty childish games that have become commonplace on our city council. Republican Committees see increase in fund-raising! Minority Leader Alderman Louis Salvio points out error in The Herald Report! The front page of the Herald today, 9/24/09, carried a sub-headline that reads; “Councilors agree to tax exemptions for seniors, veterans”. This is incorrect. The Council voted to send the resolution to Sub Committee for discussion! The same mistake appears on Page 3 as the headline to article continuation. It is my feeling that the correction when printed should be of the same size font as the mistake. I hope this mistake will be corrected promptly. The text of the article was correct. Already today, I have received two inquiries as to how to sign up for the exemptions. As was discussed last night some tax exemptions for persons with disabilities, veterans and the elderly already exist for those who qualify. These exemptions are partially reimbursed to the city by the state. Any new exemptions created are funded entirely by all of the NB taxpayers (no reimbursement). In the long run what in all likelihood will happen is, new exemptions created will raise taxes for all taxpayers to pay for the exemptions. This of course means that those getting the exemptions will also see a rise in taxes. !!!! The Bizy Bee: Gotta Love This! Barrack Obama: The Appeasement President! SOUNDS LIKE ITS AN ATTEMPT TO SHOOT THE MESSENGERS! 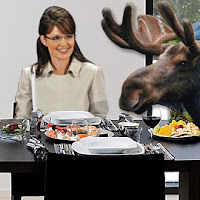 A Private Dinner with Sarah Palin just sold on eBay for $63,500.00! Lunch with Karl Rove (the architect of the Bush White House) also sold for $16,000.00! A meet and greet with Fox News host Sean Hannity and pollster Frank Luntz sold for $5.700.00! That's pretty impressive that someone would pay $5,700.00 to shake hands with Sean and Frank! 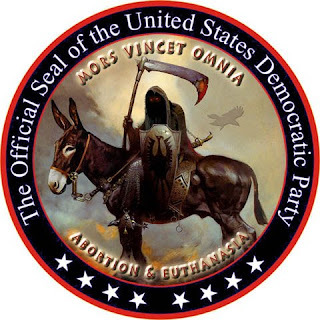 READ THE TRUTH ABOUT THE DEMOCRATS! 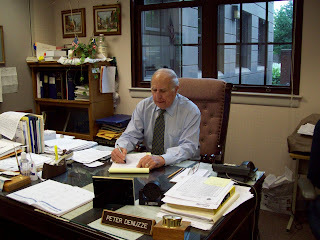 Peter, a life long resident of New Britain, who holds the designation of “Connecticut Certified Town Clerk,” has been the Town & City Clerk for 15 ½ years. When asked what improvements he has brought to the Town Clerk’s Office, Peter says that he has implemented a “businessman’s approach” which has increased revenue to $1,600,000. Some of the examples Peter offered were a new land records indexing and cash system, a new vital records program for producing electronic birth certificates, scanning of all maps and scanning of all land records back to 1969. Peter started his career as a custom home builder. He says he built many of the homes you see around town today. As owner of the Denuzze Co. Real Estate since 1958, he has a vested interest in New Britain. Peter attended the University of Hartford and Central Connecticut State University. He also served as a Platoon Sergeant in the U.S. Army during the Korean War. Past local and state officer of the Angelo Tomasso Sr. Lodge Order Sons of Italy in America. Corporator of the Y.M.C.A & C.C.A.R.C. 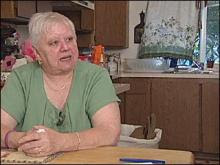 Peter is married to the former Irene Danowski, and together they raised one daughter (Karen) right here in New Britain. Cindy Faienza-Hodkevics holds a Bachelor of Science in Health Psychology and Associates Degrees in Sport and Exercise, and General Engineering. Cindy has a long history of public service, including her current service as Vice Chair of the Republican Town Committee, past service as a Justice of the Peace and Notary Public, Chairman of the Republican Town Committee (2000), and Chair of the Finance Board. Cindy also served on the Mayor's Blue Ribbon Commission in Bristol. Cindy says that it is her fast paced customer service position at Hamilton Sundstrand that best prepares her for the duties of City Clerk. During a meeting last week of the Administration, Finance and Law Subcommittee of the New Britain City Council, Council Majority Leader Michael Trueworthy is quoted in today’s edition of The Herald ("Councilors grill city auditing rep on practices" by James Craven, September 21, 2009), as having made some conflicting statements that should shock the average citizen to learn they were attributed to a member of their city council. After reading the entire story, I am left with the picture of yet another episode of theater played out by Democratic members of the council in another apparent effort to discredit the mayor at any cost—this time through the city’s contract auditing firm. The problem is that through the thorough reporting of reporter James Craven, it becomes very clear that some of the members of the council appeared to have no clue what the representative of the accounting firm was even talking about when describing the auditing practices used by the firm. Trueworthy’s questions are described in the article as being adversarial. Trueworthy and Alderman Suzanne Bielinski reportedly “asserted” that the yearly audit report was missing a report needed by the Common Council on findings of any material weeknesses in the city’s finances. According to the Herald report, when Trueworthy was told that the report had been delivered to the city’s Auditing Committee as required, Trueworthy reportedly maintained that is was not forwarded to the council. According to Mr. Craven’s report, Trueworthy said “It was not included.” Mr. Craven then reports that in an effort to ascertain if the information had been left out, The Herald asked Trueworthy who was on the Auditing Committee. Trueworthy reportedly responded “I don’t know.” Yes, you read it correctly, the Majority Leader of the Common council stated to a Herald reporter that he does not know who is on the Auditing Committee! 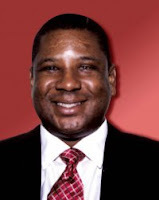 Mr. Craven reports that on Friday, after being told that He (Michael Trueworthy) is on the Auditing Committee, along with Aldermen Lori Rocha and Tonilynn Collins, Trueworthy reportedly recanted his earlier statement. Trueworthy reportedly said: “I don’t remember but I guess I got it” and went on to say that he didn’t know why he had not handed the report out to other members of the council. In summary, you have an Alderman who serves as the Majority Leader of the Council, who first denied that the so-called missing report was ever completed, then claims he doesn’t know which Aldermen are on the Auditing Committee, when in fact he himself is a member of the Auditing Committee, and then confronted with the fact that it was confirmed that he received the so-called missing report in February, along with the other members of the Auditing Committee, recants his earlier statement and then claims he doesn’t remember, and doesn’t know why he didn’t share the report with the other members of the council. To begin with, is there something in the auditing report that Alderman Trueworthy doesn’t want made public? Why does he claim to not know who is on the Auditing Committee when as the Majority Leader he has at least some responsibility for such assignments, and in fact he is a member of that committee? How can an elected official not remember receiving a document as important as an annual auditing report? How can an elected official be so irresponsible with a city document as important as an auditing report as to claim he doesn’t remember what he did with it when he received it? Since this is the second meeting whereby various council members have been reported to be “adversarial” with the city’s auditing firm, what is their ax to grind with BlumShapiro, the current auditing firm representing the city? Why do they seem to be determined to replace BlumShapiro as Alderman Phil Sherwood is quoted as saying in today’s article? Mayor Stewart was quoted in The Herald article as describing this entire meeting as “a nightmare for the people of the city” and after evaluating the statements made by many of the aldermen, I have to concur with the mayor’s assessment. These constant games being played by certain members of the council is a disgrace to their office and the people they are supposed to be serving. Mary Lou Sanders has served 6 years on the Board of Assessment Appeals, including 4 years as the Board Chairperson. 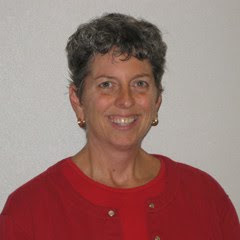 Mary Lou has a lengthy career in nursing, having served as a nurse and nurse supervisor at Hartford Hospital, and nursing positions at Bojnowski Manor, and Hospital of Central Connecticut. 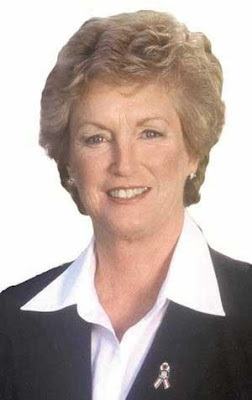 Mary Lou has worked for three sessions at the Connecticut Legislature and still works there as a Senate Transcriber. Mary Lou is currently the chairperson of the State Board of Examiners of Physical Therapists and a member of the Human Resources Agency Board of Directors. Mary Lou also worked for Blue Cross and Blue Shield of Connecticut where she examined claims, provided professional reviews, conducted provider audits, and handled institutional contracts and reimbursements. Mary Lou has always served the Board of Assessment Appeals in an ethical and professional manner. Mary Lou says she has always cast her vote on appeals that were before the board with fairness based on the facts presented, without regard for any favoritism. Mary Lou promises to continue to respond to citizens who call her with questions about Board of Assessment Appeals business, and says that she looks forward to the opportunity to continue serving the citizens of New Britain. the DEBASER: Admitted Serial Poster Greg Gerratana Pulls Nomination as New Britain Tax Collector, But is He Just the Fallboy? WHY DOES REPRESENTATIVE O'BRIEN KEEP CHANGING HIS STORY? Over the past week or so, some disturbing qualities regarding Representative O’Brien’s character have emerged. 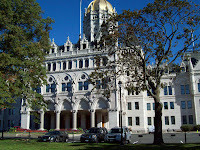 After The Herald reported that nasty comments about Mayor Stewart and his family that were posted on The Herald web site had been traced to computers at the State Capitol, a Republican Representative from Waterbury reportedly asked for an investigation into that unethical behavior by state employees. Although this is the type of rhetoric we normally expect to hear from Representative O’Brien, what I find particularly troubling is that on the very next day, Tuesday, September 15th, The Herald reported that O’Brien knew on Friday, September 11th that his own legislative aid, Greg Gerratana, admitted responsibility for using the state computers to post the personal attacks against Mayor Stewart and his family. O’Brien was reported to have told reporter James Craven that he knew of Gerratana’s admission on Friday, but chose not to say anything. Now in today’s Herald, Representative O’Brien is quoted as saying: “Elected officials should not engage in negative, personal attacks that distract from the issues” and although he had said last week that he would welcome Gerratana back to work as his aid once his suspension is completed, O’Brien is now quoted as calling Gerratana’s actions “inexcusable” and now says he does not want him to continue to be his aid. Considering that the personal attacks were posted against O’Brien’s opponent in the race for mayor, and that Greg Gerratana was O’Brien’s aid at the time, these contradictory statements from O’Brien raise more questions than they answer. The questions remain: What did Representative O’Brien know about these vicious attacks against the mayor and his family, and when did he know it? All the facts pointed out by Mr. Michael Connelly, a retired constitutional Attorney, about the proposed House bill 3200 together with the comments made by the President about his Obama care. Are the President’s answers the truth or fabrications? READ MR. CONNELLY’S COMMENTS AND YOU DECIDE! (“Aldermen claim possible auditing conspiracy” Aug 5, by James Craven, Staff Writer). The article went on to quote Alderman Sherwood as saying that he felt the auditor’s failure to comply with the rules and not sending a representative to answer to this subcommittee had a “conspiratorial feeling” even though he acknowledged that their representative had been on vacation until at least August 2. But what about the conspiracy that Sherwood, Trueworthy, and the rest of the Council Democrats engaged in back in February--when Alderman Catanzaro committed a violation of that same charter right in front of them all. In fact it was such a serious violation, that the city charter cites it as cause for Catanzaro to be expelled from office as a result. As I have previous reported, the city Ethics Commission, by a unanimous bipartisan vote, found Alderman Catanzaro in violation of the city ethics rules, and issued a recommendation to the council suggesting that he be reprimanded over an issue whereby as an Alderman, he voted against contracting out work by the same city department he works for, requiring the work to be performed by city employees and creating a situation whereby he possibly could have received personal overtime. At the February council meeting, Alderman Catanzaro spoke against his own Ethics Commission ruling, and then joined his fellow Democrats in voting to reject the commission’s ruling—both in direct violation of the city charter. These actions occurred on the public record, and in the presence of the council members. Alderman Catanzaro committed these violations in the presence of the other Democrats on the council, who were each sworn to uphold the Charter of the City of New Britain, and they have failed to perform their sworn duty by enforcing that section of the charter. The problem is that it is left to the members of the council to enforce charter violations against fellow aldermen, and this council apparently is unwilling to enforce violations committed by members of their own party. Isn’t it ironic now that an election is approaching, some of these same aldermen profess to be champions of enforcing the charter when they feel it will benefit their own campaign, despite the fact that they are on record as blatantly disregarding charter violations committed by their fellow alderman? Apparently they believe it is within their discretion to pick and choose what sections of the charter they will enforce without regard for their oath or the law. Isn’t this the ultimate in hypocrisy? The above information or source was provided by the Canada Free Press. 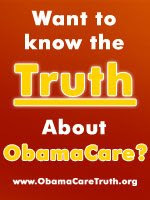 Please take this as fair warning that the Obama care version is not going to cost the taxpayers. Canada separates their health cost fees form the taxes also being paid by its citizens. Is Washington going to do the same? Obama Scrapping Missile Shield for Czech, Poland ------- A sign of Weakness? 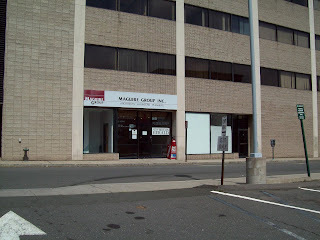 Journalism, Dead in America, May Have Been Reborn in New Britain! 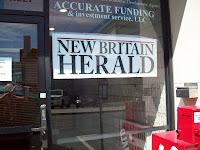 The New Britain Herald has done a remarkable job of investigative reporting in their coverage of the improper use of state computers to besmirch the mayor and his family, and an incredible follow up report that led to Alderman Greg Gerratana admitting responsibility for these actions. This is the type of information the people deserve to know about their elected representatives—especially one who is running for a high office that would put him in charge of millions of dollars of their money and ironically city computer systems that have much potential for misuse. Fox News has done quite a bit of reporting lately about the death of journalism in this country caused by left leaning reporters and news services using their news venues to pursue their political agenda. Many have believed that was possibly happening at The Herald, but the reporting of the past couple of weeks should help to set that attitude aside with many readers. Perhaps The Herald could take a lesson from Fox News. There is good reason that their network leads the cable news market in every demographic for the entire news day—making them the most watched cable news network throughout the entire day and giving them the most watched cable news programs in America. It is their “Fair and Balanced” reporting that resonates with most Americans. They do not endorse candidates, and they work hard to report both good and bad about members of both parties, and try to do so fairly, with even coverage. The American people are growing tired of the extreme slant in most other network reporting, and that is why the viewing audience for Fox continues to grow by leaps and bounds. The Herald has demonstrated an ability to do a piece of old fashioned American journalism, the kind of reporting that we have not witnessed in many years. Continue to pursue the truth wherever it may lead you, and keep the reporting “fair and balanced” regardless of political parties, and your paper will no doubt thrive while so many others are failing. So long as the truth is your only objective, no one can “legitimately” criticize you for your reporting—from either side of the aisle. Local DemocraticThrow Stones from a Glass Houses! In a September 13 posting on his web site, Chairman John McNamara offers little more than ranting and raving about his dislike of 2 local blogs—mine and that of The Bizy Bee. In my opinion this is just an attempt to deflect responsibility because one of his understudies has been caught red-handed! Do we need to remind Mr. McNamara that it was he, and not the editors of my blog, or The Bizy Bee who had to be called before the editor of the Herald for improperly quoting a Herald Reporter’s story? Recently, The Herald has been filled with quotes from Democratic leaders who were all critical of the coverage The Herald has given to state computers being used to post personal attacks against Mayor Tim Stewart. Making that list in addition to Chairman John McNamara, is Senator Donald Defronzo, Alderman and Majority Leader Michael Trueworthy, State Representative Timothy O’Brien, and Alderman Greg Gerratana. The central theme among many of the comments from these elected officials has been to downplay these postings as being no big deal, or to somehow try to transfer blame onto someone else. 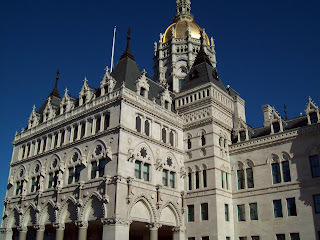 Apparently they see it as no problem that someone misused state equipment in violation of state regulations and may have done so while being paid by your tax dollars to be performing their official State of Connecticut duties. What is even more troubling are the circumstances surrounding the apparent conflicting statements of Alderman Greg Gerratana, the Democratic candidate for Tax Collector. According to the timeline in James Craven’s September 15 article “Gerratana Suspended,” on last Friday Mr. Gerratana admitted to an official at the state legislature that he was responsible for the postings in question and that he knew what he was doing was wrong. These statements raise several unanswered questions. First, were the tape recorded statements given to The Herald the true account, or is the reported confession to a legislative official the accurate accounting of Mr. Gerratana’s involvement? Next, since the political attacks were against Representative O’Brien’s political opponent, and Mr. Gerratana is Representative O’Brien’s legislative aide, what did Representative O’Brien know about this activity and when did he learn about it? Finally, is someone who would admittedly engage in personal attacks against the mayor and his family, while using a state computer in violation of state regulations, and then giving conflicting statements about it, really exhibiting the type of personality qualities needed in such an important position as your tax collector? The tax collector is responsible for collecting millions of your tax dollars, and is responsible for maintaining sensitive information on municipal computer systems. Would the activities of the last several days convince you that this is the person for such an important city job? Mr. Craven and The Herald did a fantastic job reporting on this issue, but in my opinion more questions need to be answered before this youngster is handed the keys to the city and the computers that run it. 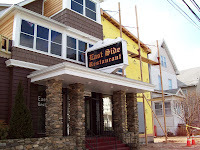 Vice-Chairman Donald Naples announces a meeting scheduled for Thursday, September 17, 2009, the Zoning Board of Appeals will meet at 6:00 p.m. in Room 201, City Hall, 27 West Main Street. Click the headline above for the details of the hearing. The Bizy Bee: I'm Famous! Local Democratic Leaders Throw Stones from Glass Houses! DID ALDERMAN GERRATANA'S COMMENTS IN TODAY'S HERALD MAKE YOU LOOK LIKE A FOOL MR.O'BRIEN? A Remote admission to the Herald By Alderman Greg Gerratana and an endorsed democratic candidate for the tax collector in the up coming election and who was also endorsed by the Working Families Party an "ACORN FRONT"
BREAKING NEWS ALERT BY THE WASHINGTON POST USA GIVES AFGHAN DETAINEES LEGAL RIGHTS . In one its first major decisions on trade policy, the Obama administration imposes a levy of 35 percent on Chinese-made tires, less than the 55 percent recommended by a federal trade panel. Minority Leader Alderman Salvio Speaks Out! 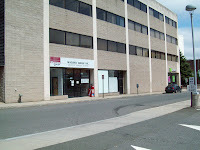 Let's see; who in New Britain is connected in some way not only to New Britain politics but also has direct access to state computers. Who is that has a direct (close to nine years old) history of registering SEEC complaints against the Mayor and Lou Salvio? It could be any one of a dozen or more people currently on the scene of local and state politics. Just take a guess and you'll hit your target. One of them signs his name to blogs but the others don't. These people know who they are. But they should also know that the police can find out and obviously, so can the newspapers or others that own the blog sites. As a matter of fact, it's already been done. Dirty politics is nothing new - even Jesus Christ couldn't avoid it. 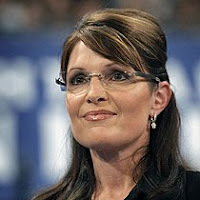 Bid on your chance to have dinner with Sarah Palin! A once in a lifetime chance for you and 4 of your friends to dine with former Governor Sarah Palin and help the charity "Ride2Recovery" at the same time! The city’s original blight ordinance was originally written and proposed by our former Alderman Tim O’Brien. The Mayor proposed a change to this ordinance since it hasn’t worked while tying up the city in the courts without the privilege of placing a lien onto the property when property violations become apparent. The Council members must be commended for ignoring the mayor hopeful, Tim O’Brien along with his master--the Democratic Chairman John McNamara--who have spoken fervently in the retention of the old ordinance that hasn’t worked. Tea Party Express Comes to Hartford on Friday! Reminder to all Democrats to remember to vote For Peter Denuzze in the Primary Tuesday, September 15th. I believe the responsible choice is to support Town and City Clerk Peter Denuzze for re-election. 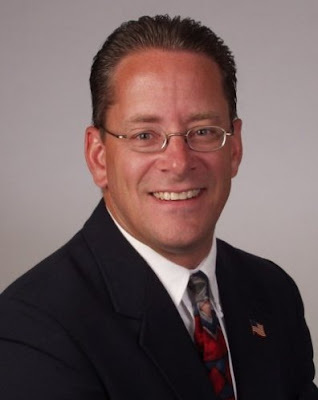 Mr. Denuzze has over 15 years experience as Town and City Clerk and holds the designation of “Connecticut Certified Town Clerk.” During his tenure, Mr. Denuzze has implemented many modern advancements to the office which has made the office more efficient and has increased revenue. His opponent, Suzanne Bielinski offers the history of serving on the City Council, and during her time on the council has demonstrated a willingness to be little more than a rubber stamp for the radical leadership of Michael Trueworthy and Philip Sherwood. Ms. Bielinski also took part in the infamous 13-2 vote whereby the council voted During the February 2009 meeting to reject the unanimous bi-partisan findings of the city Ethics Commission against fellow Democratic Alderman Paul Catanzaro. Ms. Bielinksi demonstrated her ability to defy her oath of office as an alderwoman when she witnessed Alderman Catanzaro commit a violation of the charter by speaking against his own ethics issue, and then voting to reject his own ethics ruling. According to section 4.7 of the charter, no member of the council may be heard to speak on or vote on a matter for which he has a personal financial interest. The penalty mandated by the city charter--for which Ms. Bielinski swore an oath to uphold—expulsion from office for Mr. Catanzaro. Not only did Ms. Bielinsky fail her oath by not enforcing the charter, she actually participated in the offensive activity by joining Catanzaro in voting on his own issue! Town and City Clerk is a position that requires a person who can obey the law. There are numerous regulations to follow with filing deadlines of all kinds that must be met. How can we trust such a sensitive office to a person who has publicly demonstrated a willingness to ignore the city charter? The only responsible choice would seem to be a vote for the candidate with a proven record of performance in that office—Peter Denuzze. The president's proposals would give unelected officials life-and-death rationing powers. As I continue to investigate the “workings” of the Working Families Party, I am amazed at some blatant facts that have never been brought to the attention of the Connecticut voter. It is clear from the information that I have found, that the Democrats, as the majority party in Connecticut, undoubtedly, did not have the best interest of their constituents in mind. Let me share some facts with your readers. Then you all can decide for yourselves. CEP eligibility. 03/12/09 Tr. at 303-04, 313, 340-41 (testimony of Jon Green). Now that you have read that paragraph, the interesting point is that the Working Families Party makes no bones about the fact they are not interested in getting people elected on their party ticket, but only to cross endorse candidates that they see as supporting their issues (“to push for ever more government control of the economy” and to pursue “the ultra-Left’s familiar anti-capitalist redistributionism.”) When votes on the WFP’s ballot line help a candidate that they’ve endorsed to win, then they can hold that politician accountable to the WFP. Now you’ll probably wonder how this can be legal. Well, the Working Families Party is a third party with a twist, fusion voting. The cause of electoral fusion suffered a major setback in 1997, when the U.S. Supreme Court decided by 6-3 in Timmons v. Twin Cities Area New Party that fusion is not a constitutionally protected civil right. So, where is Fusion legal today? In the following states – Connecticut, Delaware, Idaho, Mississippi, New York, South Carolina and Vermont. Fusion tickets are most commonly used in New York and Connecticut! Now remember, with fusion voting, voters have the option of voting for candidates on the line of any party that has endorsed them. Votes for each party are tallied separately, but added together to determine the winner. So why then is this still legal in Connecticut if the U.S. Supreme Court ruled that fusion is not a constitutionally protected civil right? Fusion is legal in Connecticut because of Connecticut’s Public Finance Campaign Law. Let’s remember that New Britain’s elected Democratic state reps helped to pass this law. So that is why Tim O’Brien, who is running for mayor this year, has no problem with accepting the endorsement of the Working Families Party. Oh by the way, Congressman Chris Murphy also had accepted the endorsement of the Working Families Party in the last election. So here is the law that our Democratic friends helped to write, probably with the support of Attorney General Blumenthal. 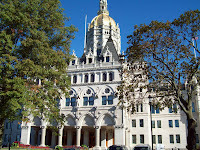 On July 5, Connecticut SB 131l was signed into law. It expands the ability of two parties to jointly nominate the same candidate. Fusion has always been legal in Connecticut for qualified parties, but since 1981 it has not been legal for unqualified parties. In Connecticut, a party must have polled 1% in the last election for any particular office, for it to be a qualified party for that particular office. A typical minor party in Connecticut is ballot-qualified for a few offices and not for most offices. Therefore, under the old law, a minor party could only cross-endorse the nominee of another party, if that minor party had polled 1% of the vote for that office in the last election. But under SB 1311, if a party is ballot-qualified for just one office anywhere in the state (assuming that office is up for election that year), then it may engage in fusion for any statewide office. It may also use fusion for a U.S. House race if it is qualified for any state legislative race inside that U.S. House district. And if it is qualified for a statewide office that is up that year, it can use fusion for any office in the state. Thus, the Green and Libertarian Parties will be able to use fusion for all offices in 2010, since they polled over 1% for a few statewide offices in 2006. So now that you have the facts, make your own judgments about the Working Families Party and the people that accept their endorsements! IT MAY BE AN OLD STORY BUT FOOMER ALDERMAN LOPES IS THE CURRENT CAMPAIGN MANAGER FOR THE MAYORAL HOPEFUL TIM O'BRIEN. As quoted in today’s New Britain Herald by Scott Whipple a staff writer. “I realize freshman congressmen like our own Chris Murphy must remain a loyal spear carrier in Speaker Pelosi’s army. Still, after listening to him last week in a reasoned, non-confrontational setting I came away impressed; he is no ideologue. He listens. His constituents in the Fifth District matter to him — not only as voters but as residents in one of the more informed, erudite districts of Congress”. 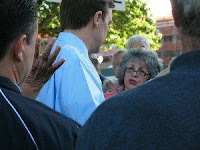 If the foregoing is an accurate description about Representative Murphy and his wishes to impress his New Britain constituents then WHY does he continue to refuse to hold a town meeting with the New Britain Seniors? Why is he hiding from them by refusing to meet with the seniors of New Britain and why did he recently hold two staged events in New Britain where the attendees where hand picked? PUBLIC NOTICE OF MEETING TONIGHT! New Britain’s Common Council’s sub-committee on planning, zoning and housing will be holding its public hearing in the council chambers at 7 P.M. tonight to discuss the termination of the Quigley garage lease with The Hospital of Central Connecticut and to also review the anti-blight ordinance with a possible revision. GREAT NEWS FOR FORMER MAYOR WILLIAM McNAMARA'S SON AND ALDERMAN MARK BERNACKI'S DAUGHTER. I would never vote for anyone who accepts the radical endorsement of Working Families Party, which is a front group for ACORN. 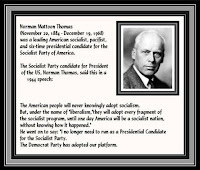 As Bertha Lewis, ACORN New York Executive Director and co-founder of WFP has been quoted as saying, when you see that endorsement, you know it is a candidate that supports certain ideals, and in my opinion any ideals that this group of extremists would support are anti-American. Lewis was also quoted as saying that after the candidate wins their election, they can expect her group to come knocking. Do we really want our city run by people who are beholden to these radicals??? Many readers continue to raise questions about the details of President Obama’s plan to force Canadian/ UK style government run health care upon all of us. To help answer some of your questions, the following is a summary of some of the details from HR 3200, the proposed plan that the House of Representatives has already passed out of committee. While Democrats continue to downplay the impact of this legislation and when confronted with the unpleasant facts about President Obama’s plan for socialized health care, they frequently accuse critics of lying, or claim that it is the old plan that has been abandoned. This bill remains alive and well in Congress, and if we take our eyes off the ball, this is the plan President Obama will ram right down all of our throats. Keep in mind this is the bill that Speaker of the House Nancy Pelosi continues to promise to pass and continues to resist any compromise to. YOUR HEALTH CARE WILL BE RATIONED. (Sec. 122, Pg. 29 Lines 4-16). THERE WILL BE A GOVERNMENT COMMITTEE DECIDING WHAT TREATMENTS AND BENEFITS YOU GET. (Sec. 123, Pg. 30). THE “HEALTH CHOICES COMMISSIONER” (an Obama Czar) WILL CHOOSE YOUR BENEFITS FOR YOU. YOU HAVE NO CHOICE. (Sec. 142, Pg. 42). HEALTH CARE WILL BE PROVIDED TO ALL NON-U.S. CITIZENS. (didn’t someone claim it did NOT cover illegal aliens?) (Sec. 152., Pg. 50-51). GOVERNMENT WILL HAVE REAL-TIME ACCESS TO YOUR PERSONAL FINANCES AND YOU WILL BE ISSUED A NATIONAL HEALTH ID CARD (Sec. 163, Pg. 58-59). GOVERNMENT WILL HAVE DIRECT ACCESS TO YOUR BANK ACCOUNTS FOR ELECTRONIC FUNDS TRANSFER. (what happened to it being free?) (Sec. 163, Pg 59). GOVERNMENT WILL CREATE A HEALTH CARE EXCHANGE TO BRING ALL PRIVATE INSURANCE PLANS UNDER GOVERNMENT CONTROL (so much for being able to keep your coverage if you like it). (Sec. 201, Pg. 72, Lines 8-14). GOVERNMENT MANDATES ALL BENEFIT PACKAGES FOR PRIVATE HEALTH CARE PLANS IN THE EXCHANGE (what happened to it being optional? )(Sec. 203, Pg. 84). MEDICAID-ELIGIBLE INDIVIDUALS WILL AUTOMATICALLY BE ENROLLED—NO FREEDOM TO CHOOSE. (Sec. 205, Pg. 102, Lines 12-18). THE GOVERNMENT WILL LIMIT, AND REDUCE PHYSICIAN SERVICES FOR MEDICAID. SENIORS, LOW INCOME AND POOR ARE THE ONES AFFECTED. (Sec. 1121, Pg 239). ALL DOCTORS PAID THE SAME NO MATTER WHAT SPECIALTY THEY ARE. (sec. 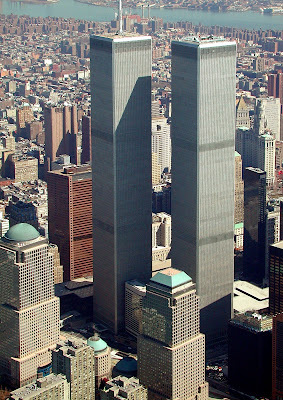 1121, Pg. 241, Lines 6-8). GOVERNMENT MANDATES AND CONTROLS PRODUCTIVITY FOR PRIVATE HEALTH CARE INDUSTRIES. (Sec. 1122, Pg. 253, Lines 10-23). THE GOVERNMENT REGULATES THE RENTAL AND PURCHASE OF POWER DRIVEN WHEEL CHAIRS. (Sec. 1141, Pg. 268). PROHIBITION ON PHYSICIAN OWNERSHIP OR INVESTMENT. (Government tells doctors what/how much property they can own). (Sec. 1156, Pg. 317, Lines 13-20). PROHIBITION ON EXPANSION OF FACILITY CAPACITY (Government will mandate that hospitals cannot expand number of operating rooms or beds) (Sec. 1156, Pg. 317-318, Lines 21-25, 1-3). GOVERNMENT MANDATES ESTABLISHMENT OF OUTCOME-BASED MEASURES (rationing ) (Sec. 1162, Pg. 335-339). GOVERNMENT HAS THE AUTHORITY TO DISQUALIFY MEDICARE ADVANTAGE PLANS (Part B), HMO’s, etc. THIS WILL FORCE PEOPLE INTO THE GOVERNMENT “OPTION”(so much for seniors keeping their coverage if they want it) (Sec. 1162, Pg. 341, Lines 3-9). GOVERNMENT WILL RESTRICT ENROLLMENT OF SPECIAL NEEDS PEOPLE (Sec. 1177, Pg. 354). GOVERNMENT MANDATES ADVANCED DEATH CARE PLANNING (Yes, what Governor Palin called DEATH PANELS, it is in there) (Sec. 1233, Pg. 425, Lines 4-12). GOVERNMENT PROVIDES APPROVED LIST OF END-OF-LIFE RESOURCES, GUIDING YOU IN DEATH. (Sec. 1233, Pg. 425-426). 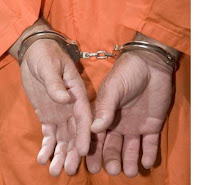 GOVERNMENT MANDATES A PROGRAM FOR ORDERS FOR LIFE-SUSTAINING TREATMENT. (Sec. 1233, Pg. 427, Lines 15-24). AN “ADVANCED CARE CONSULTATION” WILL BE USED AS PATIENT’S HEALTH DECLINES, AND MAY INCLUDE AN ORDER FOR “END-OF-LIFE PLANS. (Sec. 1233, Pg. 429). THE GOVERNMENT WILL SPECIFY WHICH DOCTORS CAN WRITE AN ORDER FOR END-OF-LIFE ORDER. (Sec.1233, PG. 429, Lines 10-12). THE GOVERNMENT WILL DECIDE WHAT LEVEL OF TREATMENT YOU WILL HAVE AT END OF LIFE ACCORDING TO PRESET METHODS (NOT INDIVIDUALLY DECIDED). (Sec. 1233, Pg. 430, Lines 11-15). THE GOVERNMENT WILL COVER MARRIAGE AND FAMILY THERAPY (involving government in your marriage). (Sec. 1308, Pg. 489). GOVERNMENT WILL COVER MENTAL HEALTH SERVICES (INCLUDING DEFINING, CREATING, AND RATIONING OF THOSE SERVICES). (Sec. 1308, PG 494-498). THE GOVERNMENT WILL BUILD REGISTRIES AND DATA NETWORKS FROM YOUR ELECTRONIC MEDICAL RECORDS AND WILL COLLECT BOTH PUBLISHED AND UNPUBLISHED DATA (MEANS YOUR PUBLIC AND PRIVATE INFORMATION). (Sec. 1401, Pg. 503). THE GOVERNMENT WILL DEFINE NEW “QUALITY” MEASURES FOR HEALTH CARE. ( The President Already Used the Post Office As His Example of Government Quality). (Sec. 1441, Pg. 621, Lines 20-25). QUALITY MEASURES SHALL BE DESIGNED TO “PROFILE” YOU, INCLUDING RACE, AGE, GENDER, PLACE OF RESIDENCE, ETC. (Sec. 1442, Pg. 623, Lines 15-17). THE GOVERNMENT WILL GIVE “MULTI-STAKE HOLDERS” PRE-RULEMAKING INPUT INTO SELECTION OF QUALITY STANDARDS, WHICH INCLUDES GROUPS LIKE ACORN AND UNIONS DECIDING WHAT CONSTITUTES QUALITY. (Sec. 1443, Pg. 630-32). THE “SECRETARY” HAS BROAD POWERS TO DENY HEALTH CARE PROVIDERS AND SUPPLIERS ADMITTANCE INTO THE HEALTH CARE EXCHANGE. YOUR DOCTOR COULD BE THROWN OUT OF BUSINESS. (Sec. 1632, Pg 710, Lines 8-14). There is more, much more, but does anyone want to rush and sign up for this program? No wonder members of Congress are exempting themselves and their families. Who would join this plan without it being rammed down their throats? THIS WILL NEVER TAKE PLACE IN CONN. CANDIDATE CRAIG DIANGELO[R] FOR THE 4TH WARD; SPEAKS OF THE 3RD PARTY LINE AND TO THE Radical Candidates On That Line! As we all know, The Working Families Party was founded in New York from the radical group –ACORN. Since then, they loosely use the words Working Families to try to garner support from voters who are actual working people. What a sham! I challenge all of the Democrats running this fall who have been endorsed by WFP to make a decisive choice – Either stay with the Democrat Party or switch and run on The Working Families Party. Life isn’t that sweet that you can have it both ways ….quite honestly it’s a scam to the voters. Be brave and make a choice! If these are the policies our Democratic friends espouse too – then run on these issues. Let the voters of New Britain know that you are endorsing ACORN’s core values and that is what you want for New Britain! No Death Panels for Seniors, Mr. Obama??? Tell that to Barbara Wagner, the 64 year old Oregon woman who was refused cancer medications under the Oregon Universal Health Care plan. Instead, the State of Oregon offered to pay for killing her--because it was cheaper than saving her. Ms. Wagner has since died--no thanks to the universal health care system that decided she was too old to save and it was cheaper to kill her. Let this be a wake up call to any seniors who believe the Democrat's promise for total utopia under their proposed government take-over of your health care. EDITORIAL " THE TRUTH HURTS"
It is amazing to me to see the adverse comments made against Alderman Salvio for his calling in the HUD agency to investigate the obvious conflicts of interests regarding certain Democratic Alderman whose family members are in a position to benefit from their council votes. These comments are apparently made by the left wing extremists of the Democratic Party. The Democrats are unable to defend their infamous 13-2 vote that denied the unanimous recommended sanctions by the ethics committee against their own, Alderman Paul Catanzaro, all done in violation of the oath taken by the 13 Alderman to protect the city charter when they sat back and witnessed a blatant violation of the charter and then failed to fulfill their sworn duty to uphold the city charter. It is amazing how nasty these Democrats get when confronted with the truth about their radical agenda. East Haven mayor arrested over beach incident. Unemployment rate was higher than analysts' expectations of 9.5 percent last month. Letter To The Editor; City Alderman Speaks Out! Jim Craven’s article in today’s Herald (“HUD pulls funds from school project”), while fairly accurate in terms of substance, lacks some historical aspects and some facts that this writer feels are important. For the past six years under the Stewart administration the common council has had super majorities of Democrats, 15, 12 and now, 13. All recognized and reported conflicts of interest, ethics violations and non or late payment of taxes issues have been attributed to Democratic Council members, some of whom have been on the Council for all of the past 6 years. Today’s Herald article failed to mention this fact. Also, no school was denied funding; it was the NB Human Resources Agency renovation project. Every year, the NB Department of Municipal Development receives funds from HUD to be distributed to organizations for their programs. 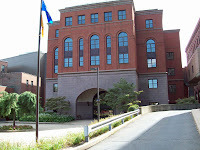 The DECD (through the CCND Commission) interviews all applicant organizations and after close to 40 hours of review and discussion, the CCND recommends – to the Common Council - for funding, those organizations it considers for funding and the amount of the funding the organizations should receive. The Council may alter the CCND recommendations, which it always does. The Council does this at one of its regular meetings and after it has held a public hearing for the applicant organizations to explain their programs. The changes made most often reflect pet projects of the Council members. I have found this process, while legal, to be quite unfair to those organizations originally recommended for funding by the CCND and have voiced my objections publicly. For the past two years I have reported to HUD what I considered to be the most egregious irregularities in the process as it relates to the New Britain Common Council. Mayor Stewart had to apply to HUD for exemptions for the past two years. In so doing, - also omitted from the article - the Mayor was able to get exemptions for many of the Council members. Craven’s article today mentions only the one irregularity that was part of the 2009 findings but not the exemptions received. An appearance of a conflict of interest is directed towards Alderman Michael Trueworthy, the Council's Majority leader by the HUD Agency.